Twenty-eight year old Katrina Jaitley is rebuilding her life after escaping an abusive boyfriend. The last thing she needs is the mystery she stumbles on during a bout of retail therapy. But she can’t ignore the coil of film — a piece of movie history — she finds hidden inside her purchase. Unfortunately, Peter, the handsome host of the estate sale, disappears before Kat has a chance to return it to him. Curious, Kat watches the strip and is shocked to witness the brutal murder of a famous 1920’s silent film star by a fellow actor. When a news article cites Kat as the film’s owner, her already complicated life goes from bad to worse. Someone begins stalking her. Are they trying to silence her or what she has discovered? 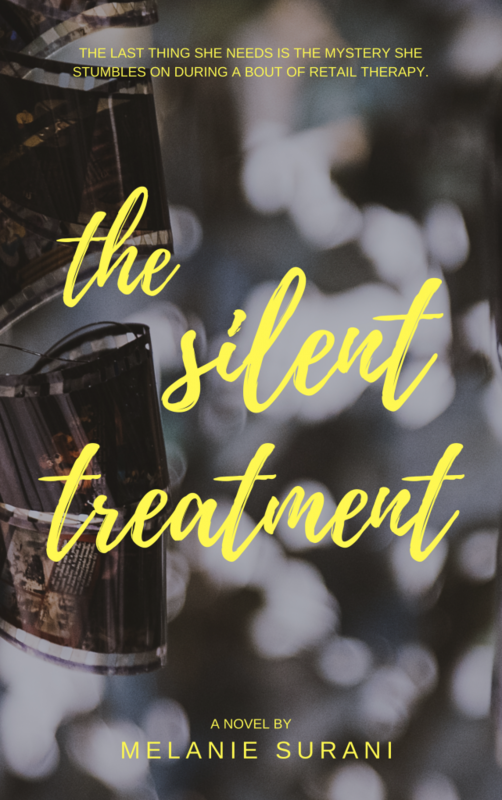 The Silent Treatment is a novel published a few years ago with Booktrope Publishing. Unfortunately, they went out of business, leaving this book without a home. Currently, it’s unavailable anywhere. Take a left at the Harry Potter store, and a right at the school that looks like Hogwarts. Melanie writes things. That’s all this site is about.